Winnipeg is one of the least expensive cities in western Canada. It was ranked in 2012 by KPMG as the least expensive place to do business in western Canada. Winnipeg is a prairie city and like most other prairie cities, it has a low cost of living. The cost of rent, groceries, utilities, and transportation in Winnipeg could range from $1200 to $2000 per month. You can also budget an additional $300 – $400 per month if you have a child. Here is a breakdown of the expenses. Rent The average monthly rental cost in the south-end of Winnipeg is $450 – $550 but this depends on the house. The cost of one bedroom apartment in Winnipeg range from $1000 to $1400 per month and the cost of a two-bedroom apartment could range from $1200 to $1600 per month. Utilities Utilities include electricity, water, natural gas, and even cell phones. In Winnipeg, utility expenses can account for $70 -$140 each month. Groceries The average household grocery in Winnipeg is $50 a week; this adds up to $200 a month. Transportation An adult pass in Winnipeg costs $100 per month. The transportation cost is even higher (up to $500) if you have a car. 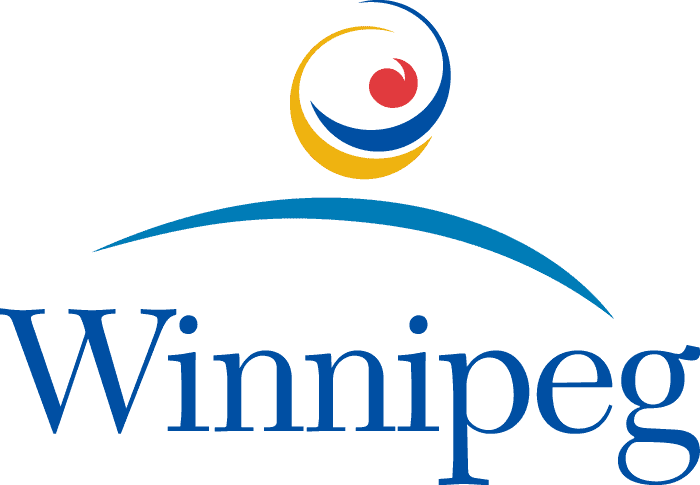 To learn more about Winnipeg, click here. Winnipeg has a relatively low cost of living but there is no guarantee that the cost of living will remain low perpetually. Of course, you may spend less now if you are single but the cost may quickly add up when you have a child or dependent. You need a reliable and sufficient Winnipeg life insurance coverage to support you and your loved ones in the event of your death or loss of income. Your loved ones will be faced with all the costs mentioned above when you die. However, with a reliable Winnipeg life insurance coverage, you will make it a lot easier for them. To read more about Winnipeg life insurance, click here. How Much Should Be the Minimum Insurance Coverage Be For a Winnipeg Resident Life insurance needs vary and depend on individuals. The minimum amount of Winnipeg life insurance coverage most suitable for an individual depends on his annual income and his cost of living. The basic life insurance coverage most suitable for you should be at least equal to your cost of living per year. Furthermore, you need life insurance coverage ten times your annual income. For instance, if you earn $70,000 in a year, you need minimum coverage of $700,000. Life Expectancy for Winnipeg Residents Winnipeg has an overall life expectancy of 79.5 years; with a life expectancy of 77 years for males and 82.1 years for females. How Much Are Winnipeg Life Insurance Rates A lot of factors influence Winnipeg life insurance rates. It is important to understand these factors and ask yourself a few questions before choosing life insurance coverage in the city. Here are the basic questions to ask. What is the right amount of Winnipeg life insurance coverage I need and how long do I need the coverage? Which life insurance provider do I choose? Where do I buy Winnipeg life insurance product? Should I buy from an insurance broker, an insurance company or a bank? To find more information about where to buy Winnipeg life insurance click here. Winnipeg Life Insurance News William MacKay, a former Winnipeg life insurance agent found unsuitable for selling securities was allowed to continue selling insurance. Investor advocate says that this points to gaps in the regulatory system. The executive director of FAIR Canada, the Canadian Foundation for the Advancement of Investor Rights, Frank Allen, said it is quite unfortunate that in several cases, individuals who have been sanctioned by a regulator may be allowed to continue with financial services activities without interventions by another regulator. Allen believes it is a gap in the system that should be closed. In November 2017, MacKay was assessed $21,000 in fines and investigation costs by the Insurance Council of Manitoba. The council was said to breach the province’s Insurance Act by showing incompetence. McKay was previously fined $10,000 plus $2,000 in 2016 in a case involving a client who purchased a BMO Maximizer Elite life insurance policy. The court found that McKay violated the Insurance Act and the code of conduct for life insurance agents by making misleading and false statements, incompetence, misrepresentation and selling an unsuitable product to a client. However, MacKay said that the penalty is unjustified and that he disputes wrongdoing of any sort. He told the council that he paid back the $15,856 commission he received on selling the policy to BMO. MacKay had been a licensed insurance agent in Manitoba since 2002. He denied the allegations against him both in 2016 and 2017 and accused the Insurance Council of Manitoba of making unsubstantiated allegations against him. To learn more about Winnipeg life insurance news click here.